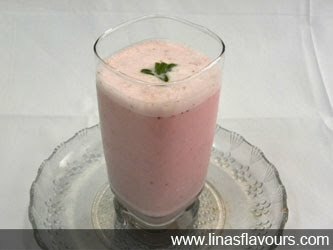 Take curd, milk, strawberry syrup, mint leaves. sugar/honey, cinnamon powder, cardamom powder and blend it well. Add ice-cubes and blend it again. Serve it immediately.